"Fighting Hitler from Dunkirk to D-Day is the compelling story of a man belonging to a group of which there are now very few survivors. Jeff Haward MM is a pre-war Territorial Army soldier who enlisted merely for something to do in the evenings. Subsequently, he fought throughout the entirety of the Second World War. Jeff is a 'Die Hard', the historic name given to men of the famous Middlesex Regiment. He joined the 1/7th Battalion, a machine-gun battalion, equipped with the British Army's iconic Vickers medium machine gun. Following evacuation from Dunkirk, the 1/7th, while refitting and re-equipping, carried out coastal defence duties in preparation for the German invasion. So desperate was the situation that on the sentry duty, the one rifle per section had to be handed to the next sentry, along with the only ammunition available- three rounds! In 1941, they were attached to the famous 51st Highland Division. The less than enthusiastic welcome from the Jocks gradually evolved into respect following the Middlesex's performance at El Alamein and the subsequent campaigns in North Africa, Sicily, Normandy and North West Europe. Following the Reichswald battle, in March 1945, Jeff was surprised to hear that he had been awarded the Military Medal for bravery and was subsequently awarded the ribbon by none other than Field Marshal Sir Bernard Montgomery. 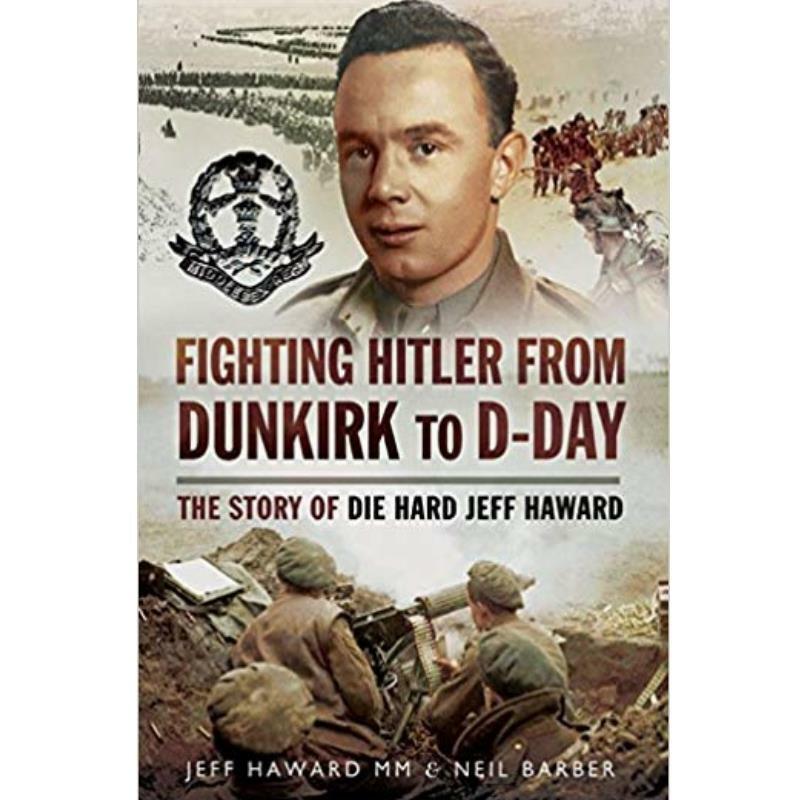 Jeff Haward's experiences, those of a normal soldier, make fascinating reading and throw new light on the use of such Vickers gun battalions during the war."